An up and down weather pattern that has persisted most of the winter across the Heartland and Great Lakes has now caused some ski areas across the lower Midwest to cease operations this week through Thursday. Most are hoping to re-open on Friday. Ski and snowboard resorts across the country continue to up the ante for activities beyond hitting the slopes – and tubing is a growing staple at many of them. 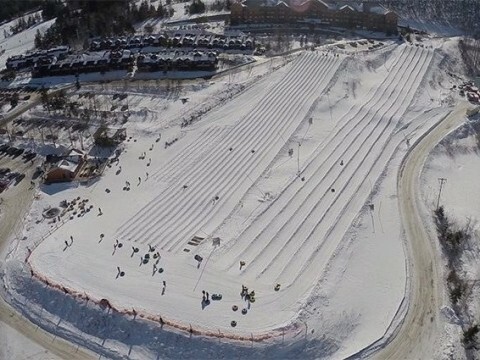 Tubing centers typically sprout up near the base area and utilizing beginner lifts like conveyors – though there’s a few up on the hill. Most have height and age minimums, charge per session (two hours typical), offer group rates, and sometimes require viewing ticket. Often there’s a warming hut with food and drink nearby; lighted, after-dark tubing common. Keystone puts tubing hill at top of gondola with top-of-the-continent views. Park has six lanes, conveyor lift, and is open after dark during evening ski-snowboard hours. Tubing at Soda Springs Mountain Resort ramps up to 20 lanes and a 400-ft surface lift. The curious but not brave can buy a pedestrian ticket to watch. 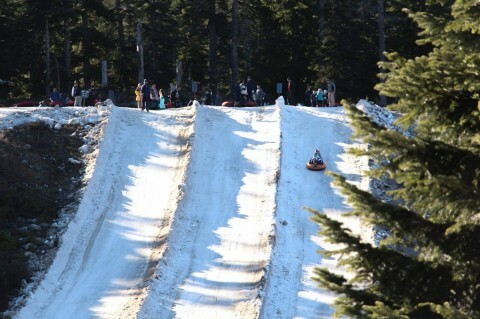 Highlight at Mount Hood SkiBowl’s tubing park is Cosmic Tubing with lane lighting, laser shows and music every Friday, Saturday and Sunday starting at 5 p.m. on lift-served kiddie and hike-up extreme hills. At Summit at Snoqualmie, tubers’ best option is to buy two-hour tickets in advance online and show up early. 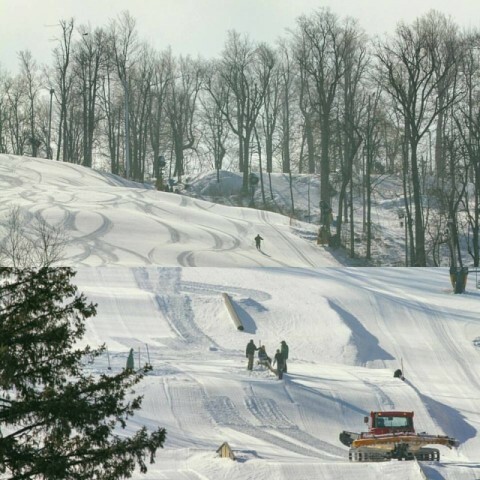 Eight-lane tubing hill is 550 feet long with 40-foot drop, located across from Summit Central. 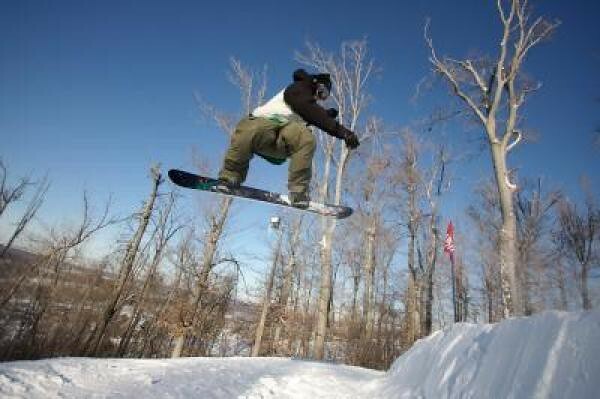 Upstate New York’s Hunter Mountain boasts biggest park – 20 chutes 1,000 feet long served by conveyor. Overlapping two-hour sessions up capacity on weekends. 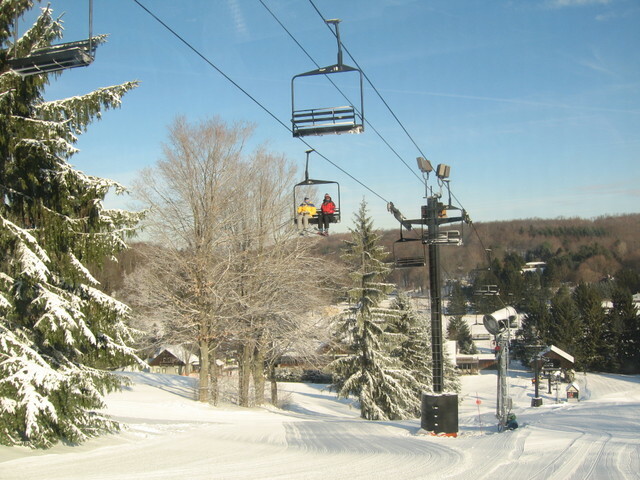 Another with after-dark tubing is Killington, which runs Fridays and Saturdays (plus holidays) until 7 p.m.
Night owls will love Boston Mills-Brandywine in northeast Ohio. The Polar Blast goes till midnight on Fridays and Saturdays. 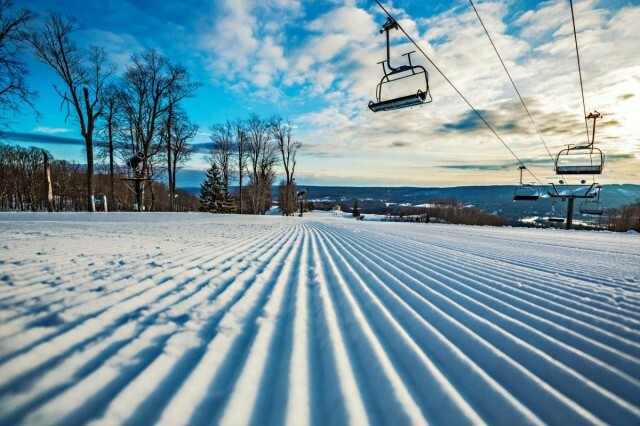 For Wisconsin’s largest, head to Sunburst Ski Area in Wisconsin, with its 40 lanes and two conveyors. 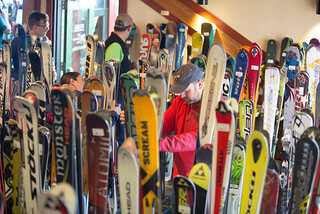 Ski swaps offer a convenient and inexpensive way to fill in your current ski and snowboarding equipment or accessories. It's also a great place to try to sell some items you no longer need or want. It’s a new concept for lower Midwest ski areas, which has been used by ski areas farther north in Minnesota, Wisconsin and Michigan’s UP. It’s a boon for Buckeye skiers and riders. 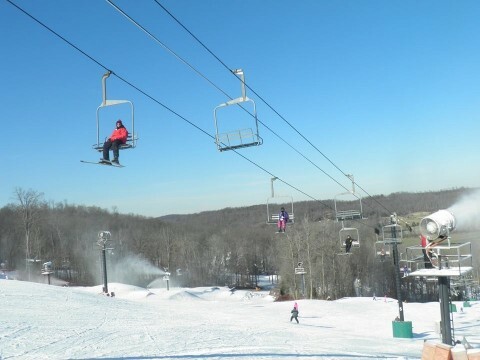 Typically Buckeye skiers and riders have about a month left to get out on Ohio’s slopes. 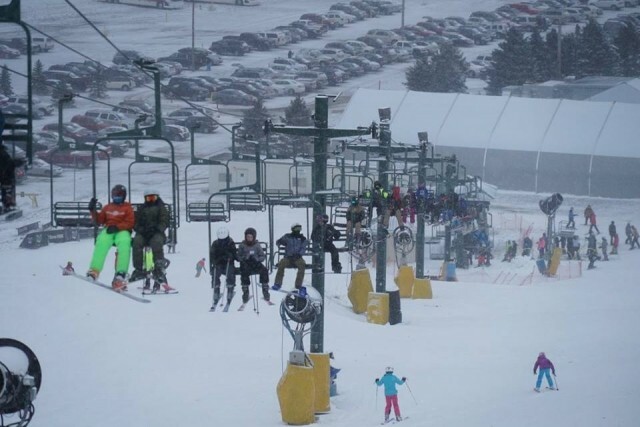 Ohio ski resorts are offering numerous incentives right now to get out and enjoy some of the best conditions of the season. 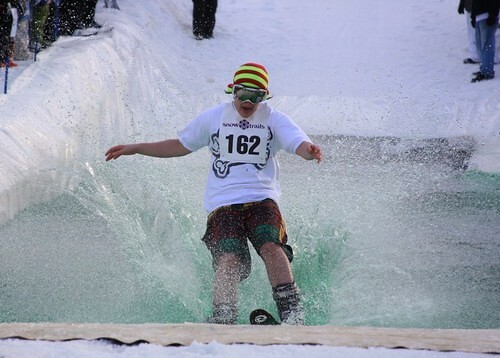 Snowboarders in Lower Michigan, Indiana and Ohio, now’s your chance to ride with an Olympian. 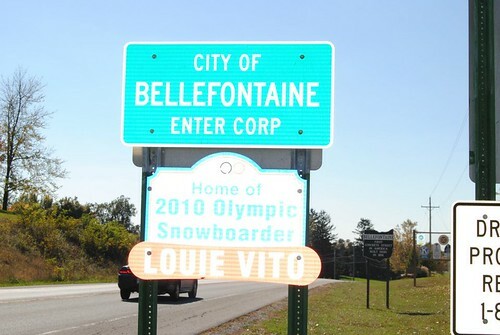 Louie Vito, Olympian and 2012 overall champion of the U. S. Grand Prix and Dew Cup, is coming to Ohio’s Mad River Mountain for his annual rail jam Saturday, Dec. 29. It’s one of the largest rail jams in the Heartland.